Since moving to Canberra a few years ago I've visited Sydney several times and I just never really enjoy it. To me it is just a big, grey city without any of the charm of Australia's other big city (and my one time home), Melbourne. 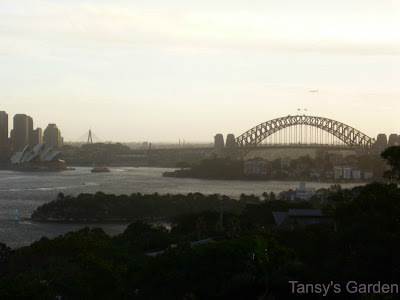 But it is only three hours drive away and is full of sights, shows and shopping, so last year I decided that I needed to learn to love Sydney. MH and I went again recently for a wedding, the weather wasn't very nice that weekend, but there was some yummy food, a couple of impressive views and a quick visit to a great fabric shop! 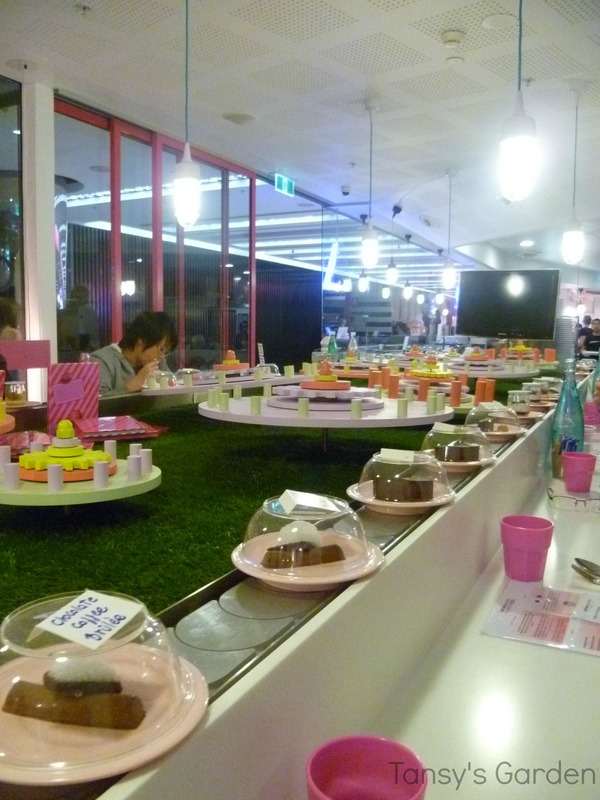 It's like a sushi train, but with desserts. 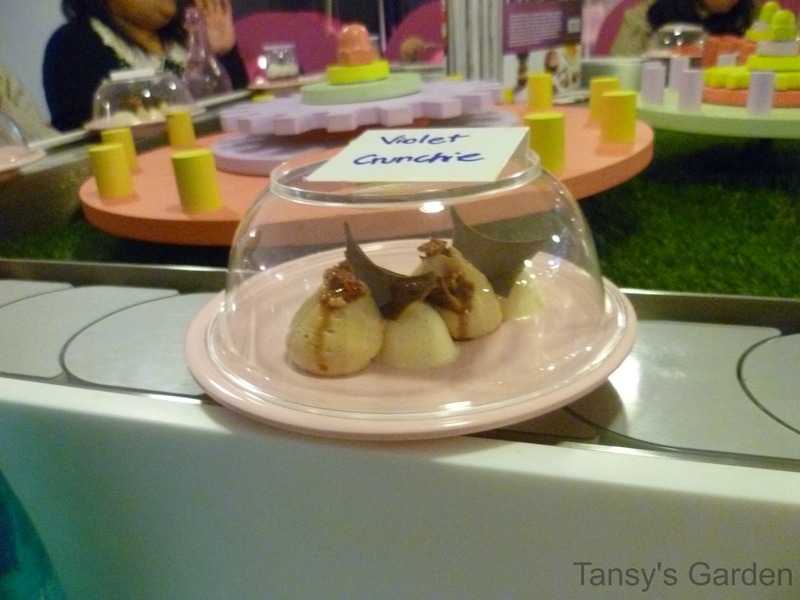 Sadly it sounds more exciting and delicious than it was, or maybe I just over hyped it to myself? 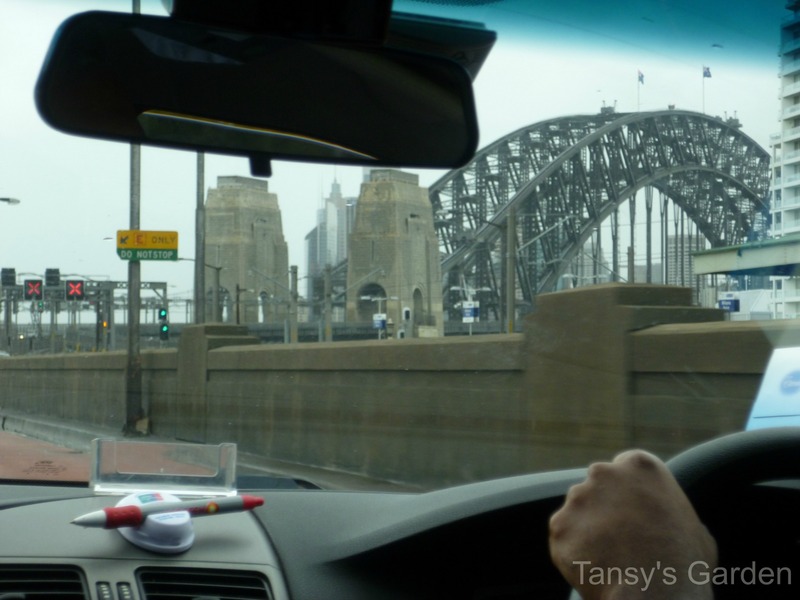 View through a taxi window - yes, it's the Harbour Bridge! Surely one of the best views from a wedding reception venue? Later in the evening we could even see fireworks across the harbour. So I still don't love Sydney, but I'm starting to like it (that's a good start!). I really wanted to move to Melbourne but we ended up in Sydney instead. It's okay, I've slowly gotten used to it. 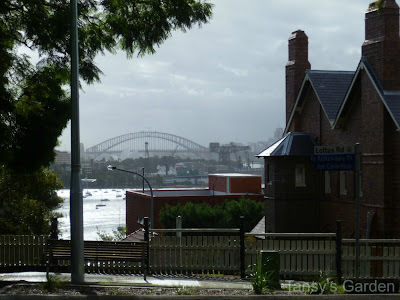 FYI - a house on the harbour with bridge views sold for...wait for it...55million dollars. A man from Melbourne bought it, go figure! Wow, I can't imagine how much money you would need to have to think it was ok to spend $55million on a house!